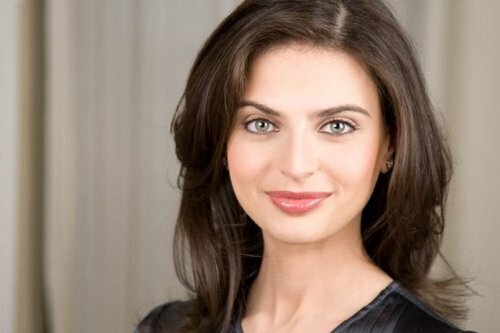 Bianna Golodryga is an American news correspondent who played a central role in helping to combat the fake news epidemic of 2016. She has earned a spot in our list of prominent people due to the obstacles she has overcome as both an immigrant and as a woman. Golodryga was born June 15, 1978 to a working-class family of Bessarabian Jews in Căușeni, Moldavian Soviet Socialist Republic (now the independent country of Moldova). An only child, she and her parents fled the Soviet Union as political refugees in 1980. They settled in Houston, TX when Golodryga was just 18 months old. But transitioning to American life was not easy. Growing up, Golodryga was often called a “commie spy” by other children. Nevertheless, she persisted in her bold ambitions. It wasn’t until high school that she first discovered her passion for journalism. She originally attended the High School for the Performing and Visual Arts with an interest in acting, but after taking part in a play about AIDS, she found that her true calling was with world events. After high school, Golodryga attended the University of Texas at Austin, where she earned her bachelor’s degree in Russian/East European & Eurasian studies with a minor in economics. She then began working in the financial sector, but decided to pursue journalism when the market dropped. A long-time fan of CNBC, the ambitious young woman packed up and moved to New York in the hopes of scoring a job at the network. But landing a position proved to be a lot more difficult than she anticipated. Golodryga was told several times that there were no opportunities available. However, she relentlessly kept inquiring, and was eventually hired on as a producer. Golodryga worked for CNBC for six years before moving onto ABC. After ABC, she moved onto the business and finance news department at Yahoo! News. Currently, she works at CBS and simultaneously contributes to CNN. In an interview with Coveteur, Golodryga gave her take on the 2016 election and how Trump’s frequent criticism of the press inspired her to be a better journalist. Bianna Golodryga’s knack for turning misfortunes into opportunity is precisely why we decided to include her in our list of inspirational leaders. Her ability to succeed in the face of oppression provides encouragement for other marginalized groups.